EXECUTIVE SUMMARY: Pro Star Logistics, a leading provider of transportation, parcel, and fulfillment services, is at the forefront of supply chain management technology, offering a broad range of software applications and reporting tools for its business customers. Considering the staggering volumes of inventory and other data that is being collected throughout the supply chain, it is a known challenge for developers to ensure that the primary databases are not disrupted by the heavy read loads of many reporting and analytics applications. Pro Star solved this challenge by mirroring its primary RDS servers into RDS Read Replicas using CloudBasic’s robust server replication technology, and then routing read traffic from the reporting apps to the replicas, thereby off-loading the primary database servers. 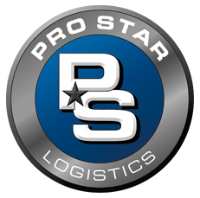 Pro Star Logistics, based in Salt Lake City, Utah, is a leading provider of comprehensive supply chain solutions, including transportation management, fulfillment, as well as very competitive domestic and international small parcel services. The company has a proven track record of lowering its customers’ operating costs by optimizing the various facets of their supply chain operations. It excels in both the Full-Truckload (TL) and Less-than-Truckload (LTL) transportation segments, and is also an acknowledged leader in providing alternative parcel solutions thanks to its direct sales approach and complete dedication to customer satisfaction. Real-time supply chain visibility has become the norm in today’s fast paced world of global commerce. The ability to make informed business decisions has become completely dependent on the constant availability of information about the flow of materials and final products throughout the supply chain. Data is continuously collected from multiple industry participants and aggregated into ever larger databases, from where it must be analyzed and fed to various reporting systems across the globe. Considering the staggering number of stock keeping units in commerce, each with its own corresponding hundreds of fields of metadata, providing reliable data analytics can be a serious challenge due to the heavy read loads on the primary databases by the multitude of reporting applications concurrently used by many users. The technology team at Pro Star is fully aware of the importance of reliability in the supply chain process. 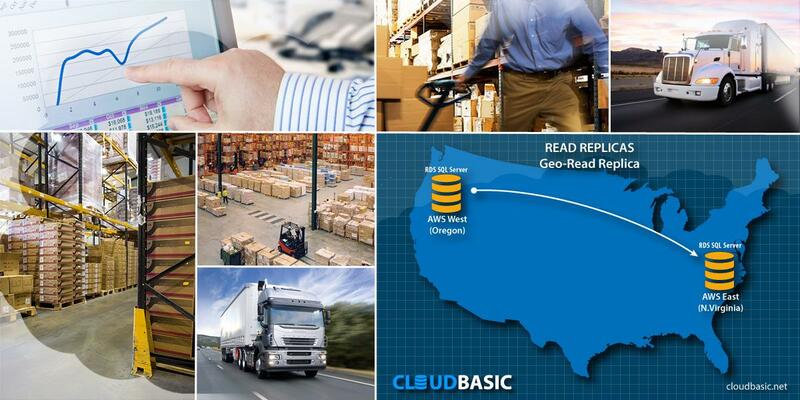 In order to offer secure web-based applications with complete 360 degree supply chain visibility from product fulfillment origin to the final destination, the team deployed RDS Read-Replicas using CloudBasic’s RDS Multi-AR solution. Unlike Amazon’s RDS Multi-AZ for SQL Server, CloudBasic’s RDS Multi-AR solution creates Geo-Readable-Replicas of the primary SQL Servers, which can be used for reporting, data-locality and off-loading of the primary databases. Improved system performance, platform stability, and lower TCO! If they were to overcome the RDS Multi-AZ limitation of not creating readable replicas, without using CloudBasic, their only option would have been to go back from the managed RDS version of the SQL Server Standard to the EC2 SQL Server version. This would have resulted in a substantially higher TCO and would have eliminated the advantage of outsourcing the SQL Server DBA function. 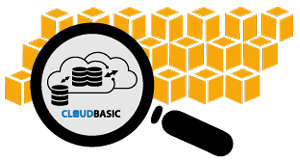 The CloudBasic replication engine delivers more functionality than the classic AWS RDS Multi-AZ at a substantially lower cost. The cross-region server replication set up of the read-replicas is a built-in Disaster Recover solution, where a Secondary replica can be promoted to Primary, should there be any cloud infrastructure disruption. Leverage the cloud at its best! For more information about CloudBasic and its cloud technology products, please contact CloudBasic.